Independent TV producers Bad Wolf are taking over the controversial Pinewood Studio Wales as tenants of the Welsh Government. Under the agreement, Bad Wolf and the Welsh Government will each pay £600,000 for improvements to the studio. Bad Wolf will shoot the second series of the Sky TV series A Discovery of Witches at the 180,000 sq ft complex. It will also use the space to make an HBO series, Industry, which is set in the wake of the 2008 financial crisis. Bad Wolf has agreed to rent the entire space at Pinewood, in Cardiff's east, for the next 12 months, with an option to extend the lease for a further two years. The company already occupies a large studio space in Splott, where it has filmed the first part of the Philip Pulman trilogy His Dark Materials, for the BBC. The Welsh Government was recently criticised for a "catalogue of errors" in its initial deal to convert a warehouse into the Pinewood facility. It originally spent £9.5m on buying and fitting out the studio for Pinewood. A Wales Audit Office report has previously estimated the Welsh Government was paying £392,000 a year to run the studio. 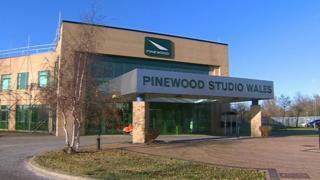 A management fee being paid to Pinewood has been kept confidential. Bad Wolf is run by former BBC executives Jane Tranter and Julie Gardner, who revived Doctor Who in 2005.